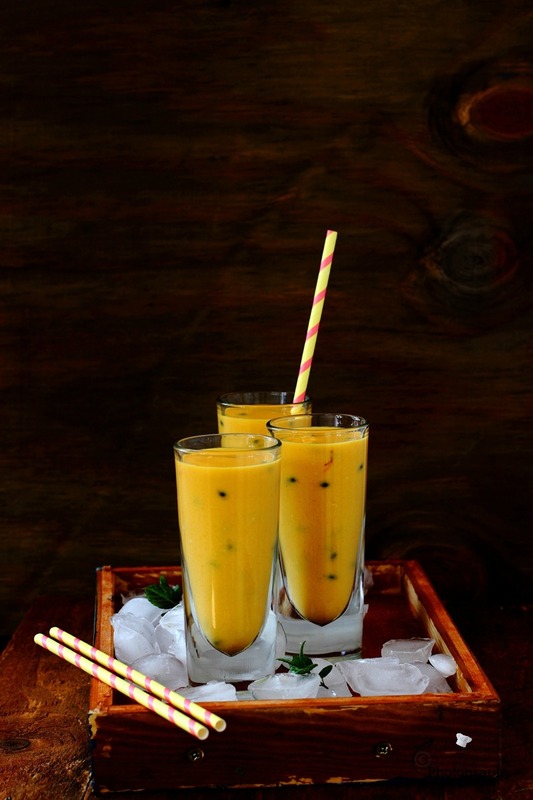 Mango, Passion Fruit and Coconut Lassi, a tropical fruit blend with beaten low fat coconut yogurt, bursting with exotic and tropical flavour, cannot be missed, because you will taste a pinch of heaven and happiness with this Caribbean -inspired Lassi. 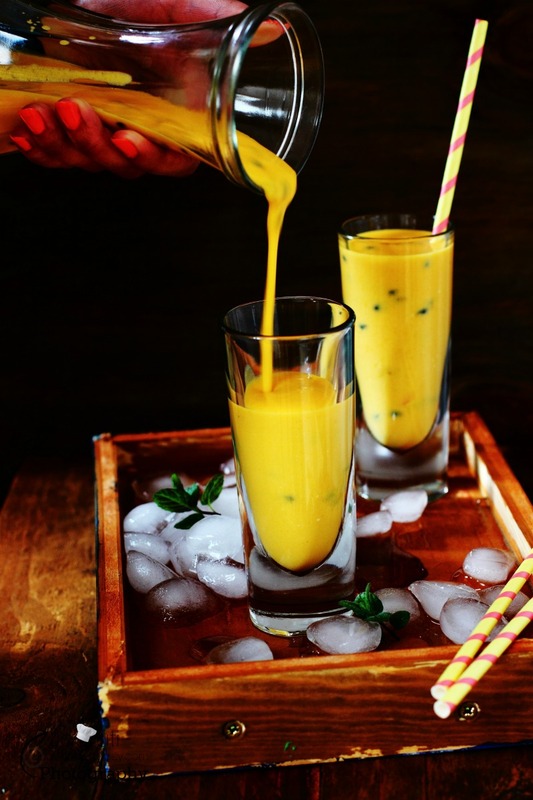 A refreshing fruity Lassi is perfect to gulpt down first thing in the morning for a filling breakfast, afternoon pick me up or can be devour with a spoon as light dessert. 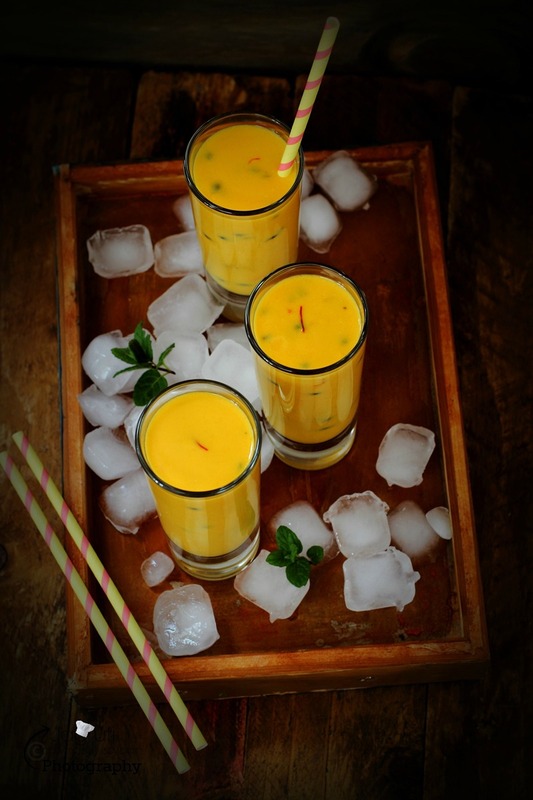 Now that we have been tasted Mango and passion fruit combo in our last recipe Mango Passion fruit Melting Moments, tastes were lingering and I could not help it but prepared this Lassi, this time we have include coconut. 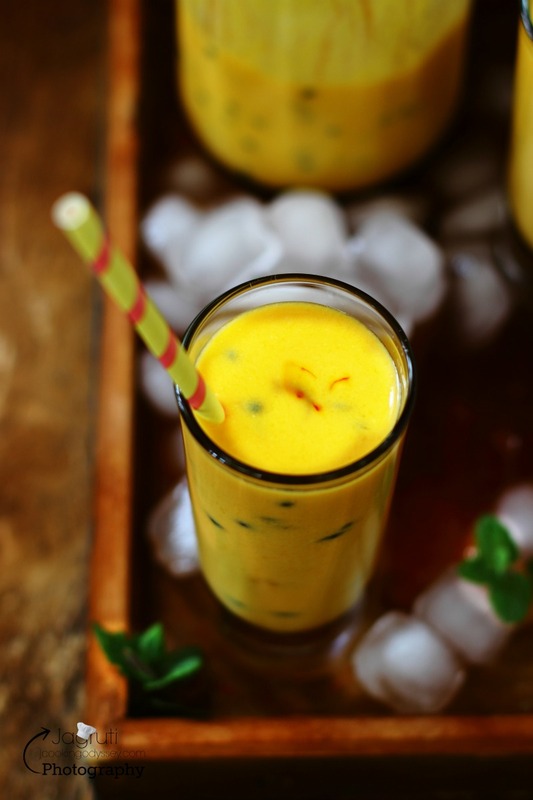 Tangy passion fruit pairs well with sweet and Mango and the coconut makes Lassi so rich and creamy. 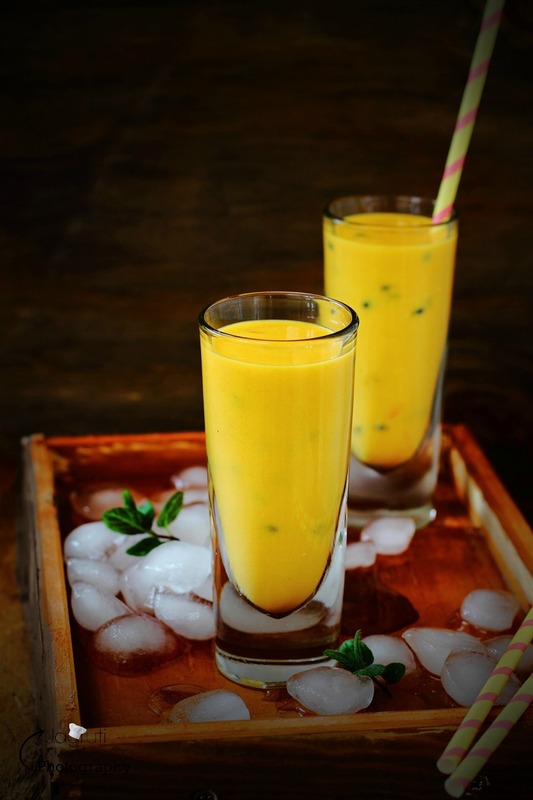 While we were drenched in T20 cricket world cup, and waiting for a match to start between India V West Indies, we enjoyed famous Maru style Crispy Potato Bhajiya ( Potato Fritters ) and to wash it down we had this Lassi. oh boy ! that was one killing combination. If coconut yogurt is not available, use plain yogurt and add little coconut milk. A tropical blend with beaten low fat coconut yogurt..so cool and refreshing !!! Place all the ingredients in a blender. Pulse to combine and process until smooth. Oh my gosh these look amazing! Definitely going to be on the drinks menu at our next BBQ. Roll on Summer! Oh I do love lassi! 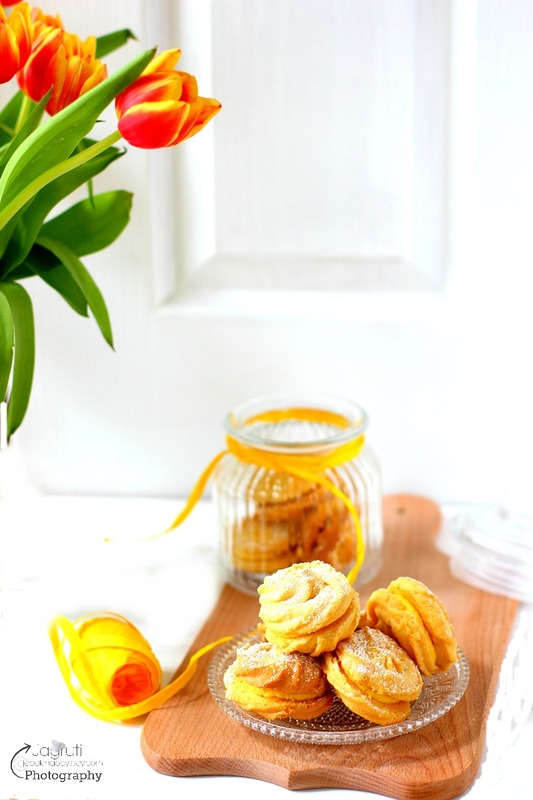 This looks so good and I have a jug of leftover mango pulp in the fridge too! These look so refreshing! I love your picture style, the colours just pop! what a perfect time to have this wonderful golden glass.